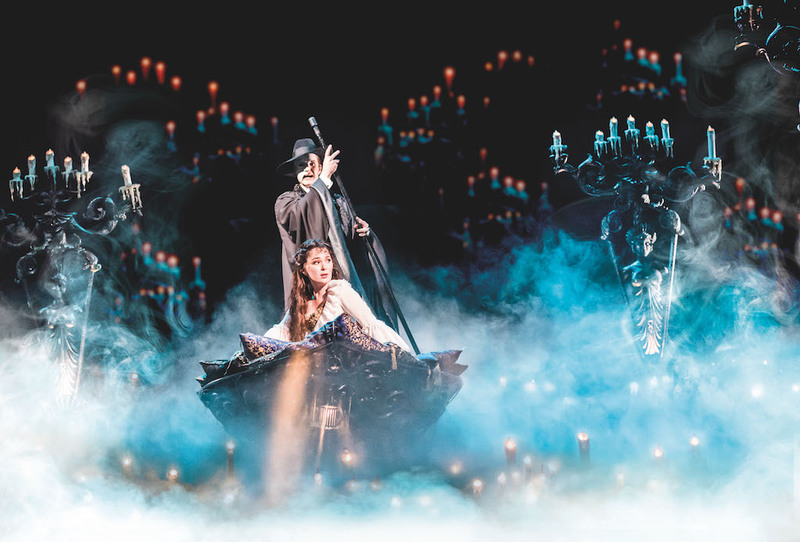 ‘The Phantom of the Opera’, which was last staged at the CCP starring Jonathan Roxmouth as the Phantom and Claire Lyon as Christine in 2012, returns to Manila at The Theatre at Solaire. It will run for a limited season beginning February 20, 2019. Tickets will be available through Ticketworld starting October 8. Casting has yet to be announced. Based on the classic novel Le Fantôme de L’Opéra by Gaston Leroux, ‘The Phantom of the Opera’ tells the tale of a disfigured musical genius known only as the Phantom who haunts the depths of the Paris Opera House. Mesmerised by the talent and beauty of a young soprano, Christine, the Phantom lures her as his protégé and falls fiercely in love with her. Unaware of Christine’s love for Raoul, the Phantom’s obsession sets the scene for a dramatic turn of events where jealousy, madness and passions collide. The Andrew Lloyd Webber musical has won seven Tony’s on Broadway and four Olivier Awards in the West End. It became the longest running show in Broadway history on January 9, 2006 when it celebrated its 7,486th performance, surpassing the previous record holder “Cats”. On January 1, 2018 it celebrated its 13,000th performance and later that month on January 24, the Broadway production celebrated 30 years on Broadway. With 130 cast, crew and orchestra members and more than 230 costumes by the late international designer late Maria Björnson,‘The Phantom of the Opera’ contains some of Andrew Lloyd Webber’s most famous music, including The Phantom of the Opera, Think of Me and Music of the Night. The original cast recording, with over 40 million copies sold worldwide, is the best-selling cast recording of all time. The musical opened at Her Majesty’s Theatre in London’s West End on October 9, 1986, starring Michael Crawford as the Phantom and Sarah Brightman as Christine. It is produced by Cameron Mackintosh and The Really Useful Group.‘The Phantom of the Opera’ is presented in Manila by Concertus Manila and produced by Lunchbox Theatrical Productions. The musical is currently showing in London, New York, Budapest, and on tour in the US.